In the heart of Oklahoma City, Oklahoma, visitors will find the Oklahoma City Zoo. The Oklahoma City Zoo provides visitors with a one of a kind experience that showcases the beauty of some of the world’s most magnificent animals. Since it was founded in 1902, the Oklahoma City Zoo has maintained a mission of providing excellent habitats and care for the plants and animals that call the zoo home. According to the Association of Zoos and Aquariums, as well as the American Alliance of Museums, the Oklahoma City Zoo is a living museum and a botanical garden. Between the personal and loving care that the zoo’s employees give to the plants and animals, as well as the world-class facilities, the Oklahoma City Zoo is of the most renowned zoos in the country. While the Oklahoma City Zoo’s website gives little information about the zoo’s history, visitors can learn about the zoo by visiting the Patricia and Byron J. Gambulos ZooZeum. Located in the Oklahoma City Zoo, the ZooZeum is a museum dedicated to the zoological and botanical history of the zoo. No other zoo in the country has an on-sight museum like this. 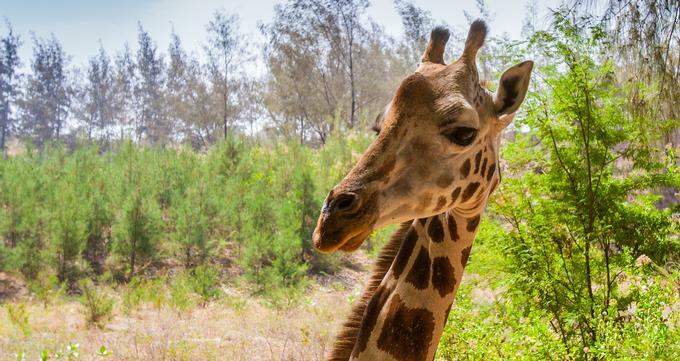 By walking through the ZooZeum, visitors will get to learn about the beginning stages of the zoo, and how it has evolved into the renowned zoo it is today. The Oklahoma City Zoo is home to approximately 12 attractions, which provide in-depth exploration and learning opportunities. Bears houses only two species of bears, but is one of the most heartwarming attractions in the zoo. Currently, a combination of grizzly bears and black bears call the Bears exhibit home. Visitors often see the bears floating happily in the water. Cat Forest is home to a variety of carnivorous cats. This exhibit includes a variety of terrain, such as forest trails and glass enclosures, which makes it extremely easy to view the various cats. Visitors can expect to see snow leopards, tigers, and bobcats among the various cat species. Elephants is home to a family of Asian elephants that can determine the longevity of the species. According to the zoo, there are only 30,000 Asian elephants worldwide. This is due to the increased activity of poaching and environmental destruction. Thus, visitors are given a chance to see a special and intelligent family of elephants. Herpetarium was built in 1928, and houses various reptiles and amphibians. With over 65 habitats, there is an abundance of diverse animals in this building. Some of the animals include the; king cobra, Mexican beaded lizard, and Kaiser spotted newt. Hoofed Animals is a mixture of hoofed animals that live in a habitat that is an exact replica of what life is like in the Savannah. Many of the animals showcased in this attraction are endangered. These animals include; Grevy’s zebra and Grant’s gazelle. Island Life takes you through a tour of animals that are home to a variety of locations, such as the Caribbean, Madagascar, and the Philippines. A few of the highlighted animals of this exhibit are; Galapagos tortoises, Caribbean flamingos, and Komondor dragons. Lion Overlook is home to three lions; Tia, Bridget, and Hubert. Although Tia and Bridget are among the favorite animals of the zoo, Hubert steals the show. Hubert is a male African lion who came to the zoo after the male lion, Aslan, passed away in 2012. Hubert can typically be seen playing with the other lions, or perched on his favorite spot of Lion Overlook, which is on the very top of the hill. Noble Aquatic Center: Aquaticus is one of the most popular attractions in the Oklahoma City Zoo. Aquaticus is home to over 1,500 aquatic animals from a variety of regions. Some of the highlighted animals are California sea lions and upside down jellyfish. Oklahoma Trails Adventure allows guests to explore and learn about various animals while experiencing what life is like in Oklahoma’s different terrain. This attraction showcases over 100 native Oklahoma species, as well as 800 other animals. There are 11 different zones, which each showcase a different category of animals. Visitors can expect to walk across a suspended boardwalk, travel across rolling hills, and view an exact replica of Turner Falls. The Oklahoma City Zoo has a variety of educational opportunities that allow guests to explore and interact with the species and nature around them. Like any other zoo and museum, the Oklahoma City Zoo offers specialized tours for schools. Aside from educational tours, the zoo offers camps and overnight stays, which provide children with a truly interactive and educational experience.